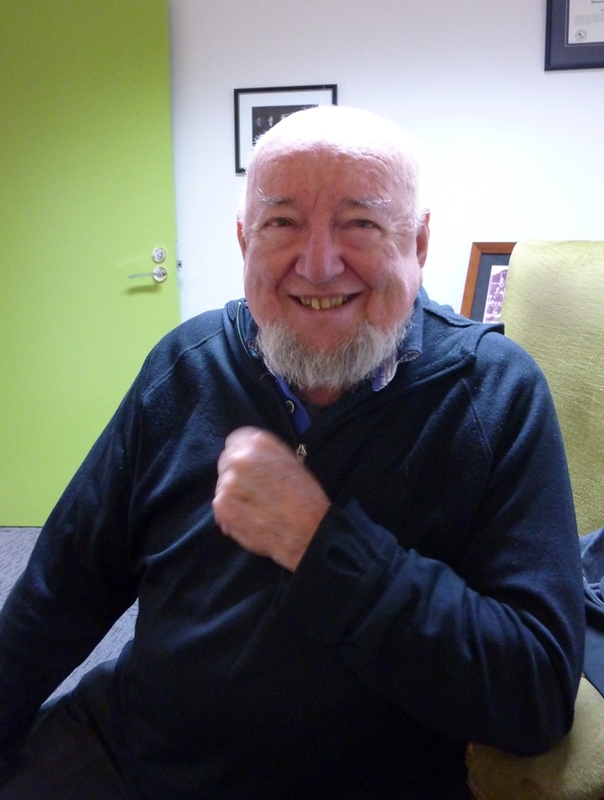 It seems only fitting that, being a guest for the day at the Tom Keneally Centre at the Sydney Mechanics’ School of Arts, I should have the opportunity to speak to the great man himself. I had spent most of the day sitting in front of an immense portrait of him, so when he loomed into the doorway of the office I felt surrounded. Keneally is, of course, famous for his garrulous good humour, affability and approachability. 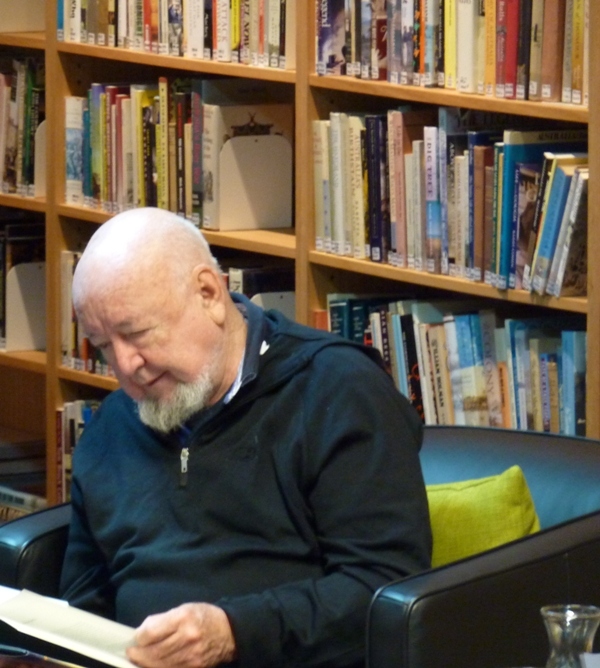 I saw it all at work today as he spoke to a gathering of about 50 people who had come to hear him read from his new book “Shame and the Captives,” which deals with the history of Japanese prisoners of war in Australia during the period of World War 2. His storytelling skill is immense, and he kept the audience fascinated from beginning to end. There is no beating the Keneally style. I am interested in the Japanese content of this new book, and was drawn in by a passage he read about a prisoner committing seppuku, the infamous Japanese ritual suicide. Seppuku has been much in my mind lately as I have been teaching a friend about the writing and career of Yukio Mishima. I am always disturbed by the tremendous violence of this act, and its accompanying symbolic power. Keneally clearly feels the same. As a child of World War 2, Keneally is conscious of the reflexive attitudes towards Japan that he learned practically at the cradle. These attitudes he wanted to assess and challenge through the writing of this book. It sounds an intriguing and challenging intent, and I will be very interested to read the outcome. One thing that emerges clearly through Keneally’s talk is how the attitudes, myths and memes of World War 2 are all being challenged and re-assessed in the 21st century. The clear pictures of goodies and baddies that were still being offered to me as a child in the 1970s are no longer as certain. An unhealthy interest in the atrocities of this period is something that Keneally confesses to, but he balances this by saying that all authors are pathological, all with an enduring and slightly obsessive interest in particular subjects. There is also the constant authorial preoccupation with childhood nostalgia, and this has also been a driving force behind Keneally’s recent writing. His war memories of wanting to be a brave little soldier proved to him just how all-consuming the image of war has been to people of his generation. So that’s it! I am headed home tonight to pick up my entirely untouched, and previously daunting, copy of “Middlemarch” and start reading.